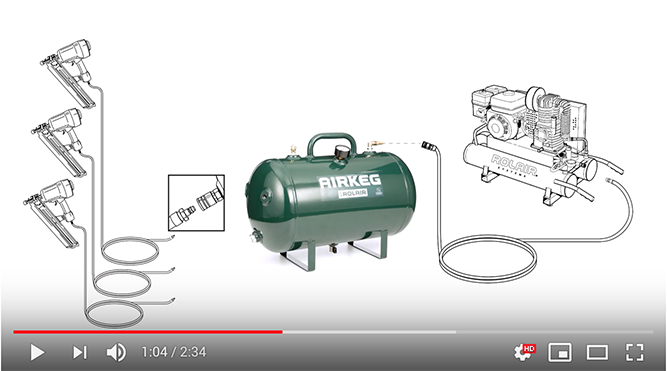 The AIRKEG2 by ROLAIR® works with your existing pneumatic set-up to increase reserve air and minimize frictional loss over extended distances. 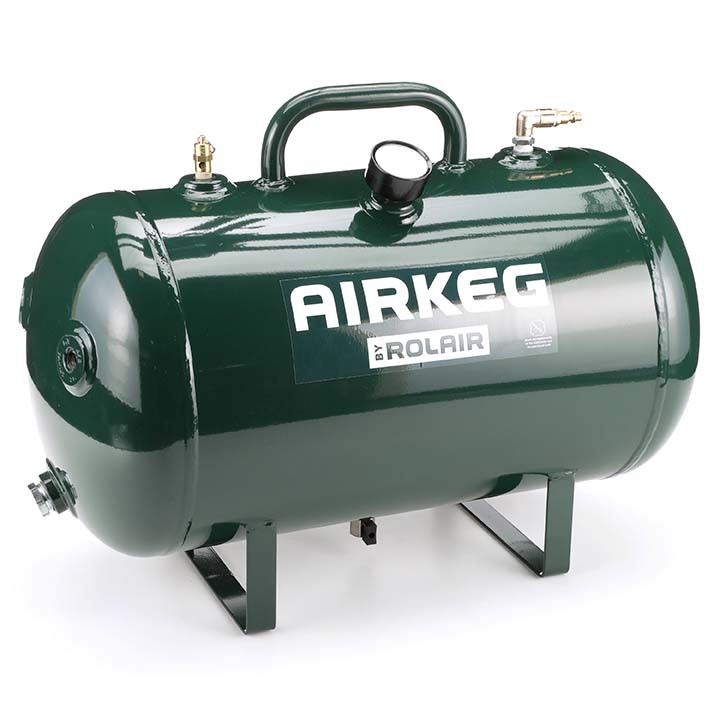 Featuring a 90° check valve inlet and four 3/8” outlet ports, the user can install the AIRKEG2 downline from their air compressor to maximize performance or fill it up and take it on the go as a portable air storage tank. The 10 gallon, 225 PSI auxiliary tank meets the requirements of the ASME Boiler and Pressure Vessel Code. DIMENSIONS 23" x 16" x 12"